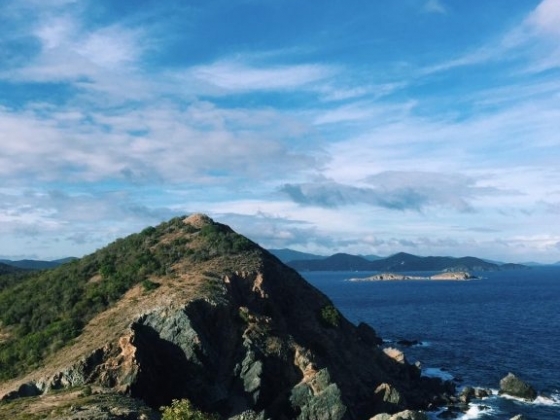 Nothing beats a full day of adventuring on St. John. Spending the day taking in the beauty of the island and immersing yourself in nature is one of the best parts of any vacation. 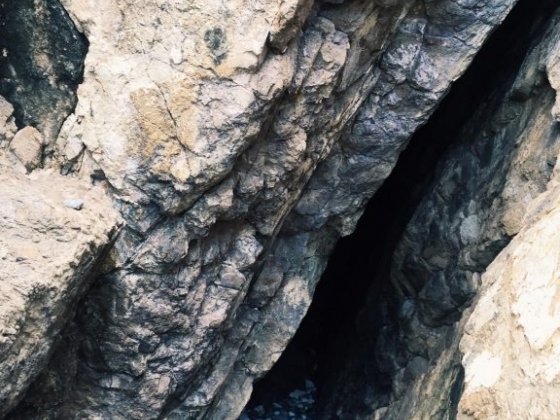 If you're looking to spend a day aside from enjoying cocktails and the calm beaches to go deep into the island and see some of the most beautiful view and hidden spots, a visit to Coral Bay to hike the Rams Head Trail is endless fun! Rams Head is a mile long hike that goes all along the shoreline and uphill and is said to be one of the most beautiful hikes on the island. It begins at the end of Salt Pond beach and along a wide blue cobblestone beach, and continues starting on a little path marked by two piles of blue cobblestone pyramids and ascends up the beautiful hillside. 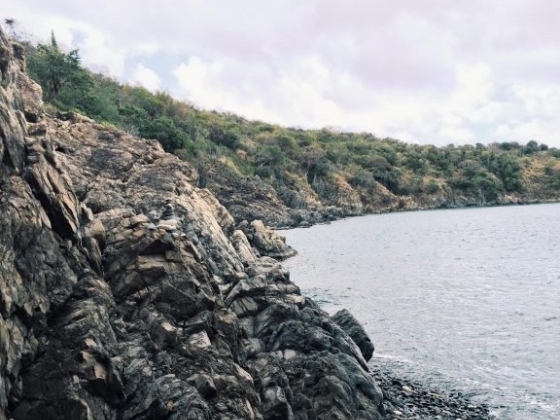 During the hike you'll hear the calming sound of the ocean, spot plenty of cacti everywhere, and be able to capture some of the most breaktaking views of St. John. The trail takes about 30 minutes if you're consistently walking but you can easily make it a couple hour hike and bring some lunch along. It's best to do the hike either early in the morning before it starts to get extremely hot, or later in the evening when the air cools down. I did the hike right before sunset, it was hot but it was so rewarding when I reached the top. There was a large gust of air and the wind was so strong once you finish the hike up and reach the overlook. You're surrounded by a 360 view of endless blue ocean and rocks and you feel on top of the world once you reach the end. It was such a treat being able to do the hike everyone talks about, and it was definitely worth the trek. Afterwards you can even cool off on the way back and jump in the water at Salt Pond Beach! My day also consisted of renting a kayak and kayaking out to Little Lameshur in search of the mysterious Quartz cave hidden away somewhere on the tektite trail. Last week I wasn't able to find it hiking all around by foot so I figured my second best bet was to take a kayak and try to find it along the shore. Eventually after going back and forth studying each and every rock, I eventually found the small cave, marked by rock sculptures. Kayaking is one of the best things to do if you're looking for a water activity on the island whether you're just kayaking to a beach or going out to discover some unknown spots! Take route 107 heading south for 3.9 miles starting from the Moravian Church in Coral Bay. The quarter mile Salt Pond Bay Trail to the beach begins in the large parking lot, it's a spot that's very hard to miss!